Spring is very much on its way and that means putting away the boots and scarves and bringing out the sandals! For a lot of us, winter has taken its toll on our feet. Central heating and colder outside temperatures are a terrible combo, and you may find yourself with very dry, cracked heels. Being wedding-ready means thinking about this ahead of time! 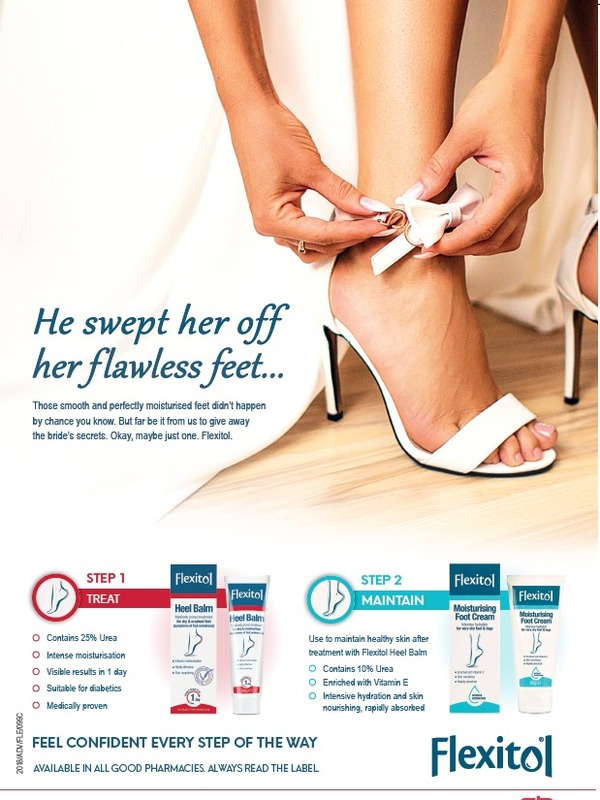 We’ve got three very simple and effective ways you can make sure your wedding day feet are flawless. No need to worry about hiding them in clunky slippers during your ‘getting ready’ pics. You won’t be stressing about dry feet on your honeymoon either! A few days before your wedding, book an appointment to get a pedicure. A lovely splash of colour on your toenails will have you feeling fresh and pampered. Your feet will thank you too! 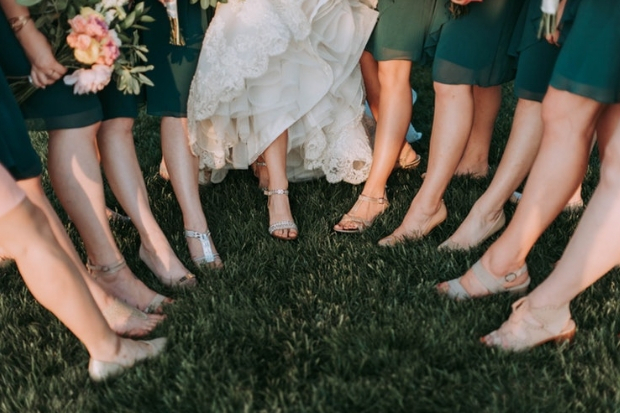 The best way to show off your gorgeous feet is with polished nails to match your wedding colours. There is nothing more awkward than hard and cracked heels. This is the number one reason many women want to hide their feet! And we don’t blame them. Not only do they look bad, but if left untreated, dry, cracked heels can become painful and infected. We can highly recommend Flexitol Heel Balm. It’s medically proven to relieve the symptoms of foot anhidrosis (dry, cracked skin on the heels and feet) and it provides intense moisturisation, which is just what your feet need. Your skin will soon start to feel nourished and you’ll see visible results in just one day! The finishing touch to any pedicure is well-moisturised feet. Flexitol Moisturising Foot Cream softens and hydrates very dry skin. Enriched with Vitamin E, this rapidly absorbing formula will guarantee soft, silky feet and legs. No longer will dry feet and legs be a problem for you!